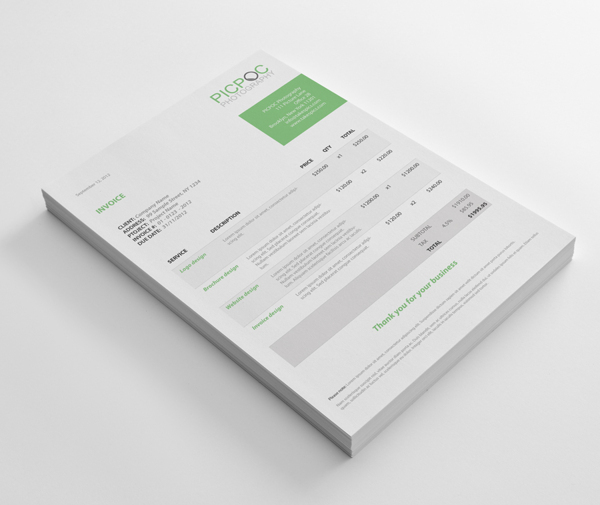 Creating invoices can be a real pain; we all love receiving payment but generating invoices or building invoice templates can be a drag. However, you really need to carefully and wisely manage you invoices as they’re cash-flow to your business, and every digital agency or web development company needs to keep an eye on cash-flow. Choosing the right invoicing software, putting in the right polices and charging method and having strict payment terms is crucial. So learn from these tips and you’re build a much more successful client business, even if your freelancing or building a digital agency. Ok, so we’re going to be a bit biased here about what’s the best invoicing software and best software for invoicing templates. But Bullet’s Online Invoicing tool is world class; never mind that it calculates your sales tax, tracks who’s opened the invoices and has a full accounting and payroll system hanging off it. But there are other good tools out there just for invoicing like freshbooks and blinksale. The key thing is make sure it’s an online invoicing tool. It will help you track who opened the emails and when, which gives you a good upper hand. Everybody wants to get paid on time, right? But, in the real world some people just don’t want to pay. As a freelancer designer or digital agency, you’ll hit stubborn clients. You also need to protect the relationship with the client as you might want to get some more work out of them. Building new clients is hard, re-billing old clients is easier. What payment mode will you use – cash, cheques or credit cards? How much should the client pay as a down payment? Will you begin the work without any payments? How many days you will wait before the client pays? Are you going to impose penalties for late payments? When will the client receive the final work – before or after making payments? Remember, these aren’t written in stone but they’ll make life easier for you. Clients don’t like surprises and they can also use it against you: ‘But you never said, we didn’t agree that’, etc. The key thing to do is have the policies clearly outlined in your invoices. Just simple bullet points will do. Never ever undercharge on a job. It’s super important to keep your pricing point up; you’ll just start to attract the wrong kind of customers who undervalue your work and will try and ride it out. If you think you’ve won a job by cutting your price then you’ve lost already. If you find yourself attracting low ball clients, take a step back and ask yourself: what am I doing wrong, ask clients who didn’t go with you why they didn’t. I think you’ll find it’s nothing about your service it’s how you’re presenting it. You only have 8 hours a day to bill, so bill as much as you can. 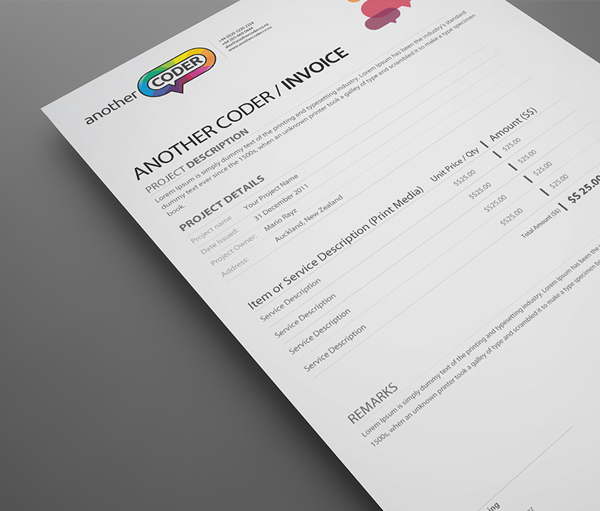 Don’t go too detailed on your invoice break down, with a lot of freelancer work whether that be design or web development, everything is interconnected. So if you give too much of a break down you’ll get clients saying ‘Oh but that didn’t go ahead in the end – so I’m not paying for it’, but the truth is you’d already built it for them to scrap the design after they changed their mind. Be smart with how you invoice it sets the tone for the rest of the relationship.